If you've ever grown cucumbers in the summer you know that there is no way they will all get used up before going bad. Cucumber plants are prolific. They are the Stephen Kings of vegetable plants. So, I gave our cucumbers the gift of shelf (refrigerator) life. Boil your brine and store your cucumbers in it. That's it! 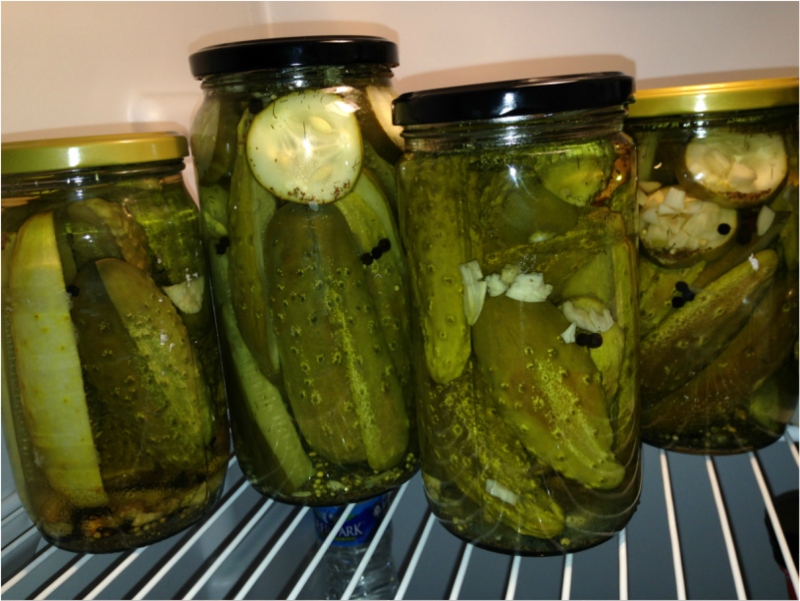 They turn out like jewish deli pickles: crisp and retaining more of their original cucumber-y-ness than regular old vlasic pickles. This recipe can be used for pickling other veggies as well, so throw in some carrots and banana pepper while you've got the brine boiling.